Once upon a time, an evil man wrote, “Power is not only what you have, but what the enemy thinks you have.” If you are a conservative, that man considers *you* the enemy. The UK collectively marched through the streets in a nation-wide united protest against President Trump. 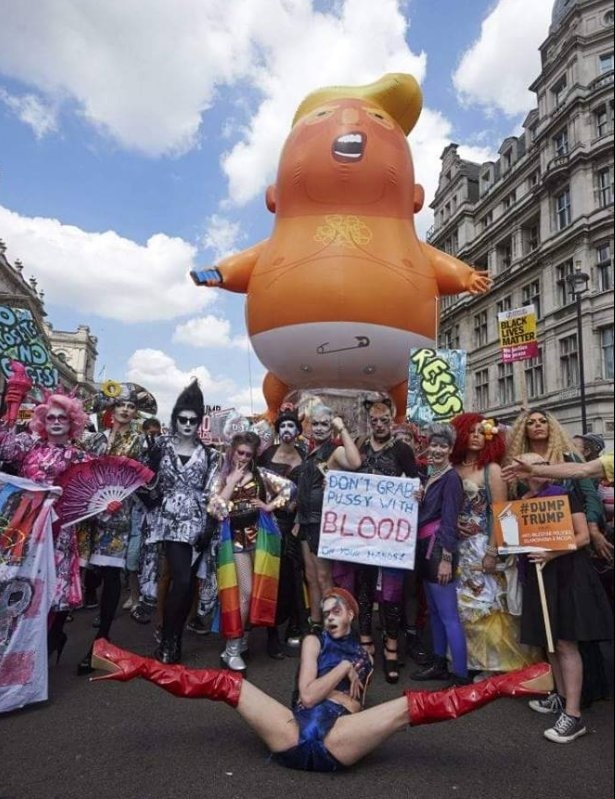 By flying a staggeringly large balloon effigy of Trump-as-infant, they crushed his soul and caused opening weeping among his supporters who were hypocritically outraged at this bold expression of true freedom of speech. Reality, as revealed by photographs, tells a different story. 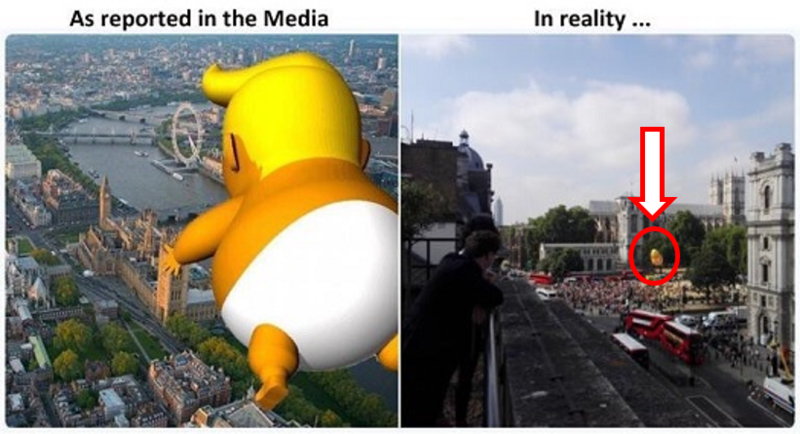 If you look at the UK Trump balloon, your thoughts on the power of the Left more closely align with the *actual* power of the Left. The Trump-as-infant balloon was actually not all that impressive. 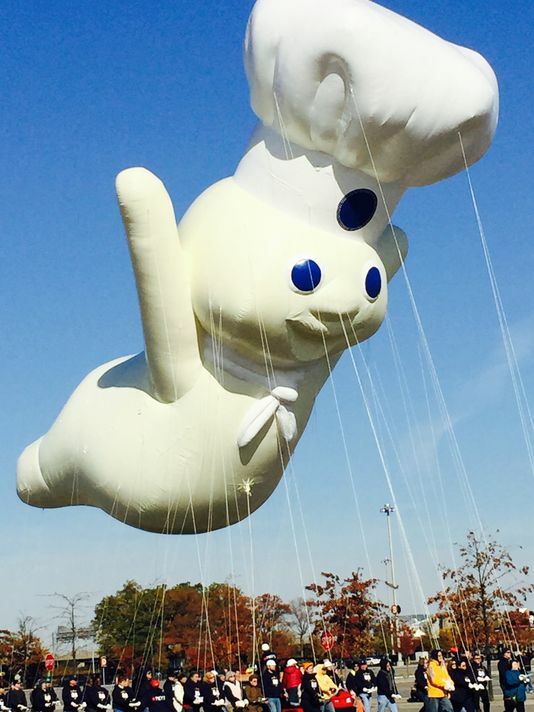 Quite frankly, it would be undersized among the balloons at the Macy’s Thanksgiving Parade. In reality, some people did protest Trump, but others didn’t care, and others welcomed Trump. It was hardly a city-wide show of unity. Still, it was nice to see the cos-players from The Rocky Horror Picture Show get a chance to show off! Weird, I don’t see Brad or Janet or Rocky or Magenta, or Frankenfurter, or… Oh, they’re just clowns and perverts? Never mind. Well, there you have it. Look at the power the Left *actually* has. Go ahead and laugh, I won’t tell on you.